It's the ultimate Beer & BBQ pairing competition where you are the judge. It’s simple. We pair talented brewers & pitmasters from the local area to deliver the ultimate Beer & BBQ pairing. 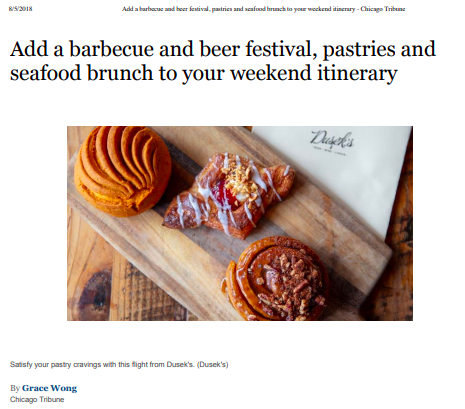 You sample BBQ, taste some craft beer, and you vote on the best pairing of the two. Get the full scoop from the players themselves. The next Beer & BBQ Challenge is on Saturday, August 3, 2019 from 1-5pm @ the St. Viator campus, 4140 W Addison, Chicago. See the fun we've had so far. The ultimate winner here are the kids at St Viator Elementary School & Parish. 100% of the proceeds goes to St Viator. We've raised nearly $180,000 so far! The money we've raised will be used to improve facilities & programs that help St Viator and our community in Old Irving Park Chicago. Can't make it but want to help us reach out goals? Donate today!